Tired of all those knives whose handles give up before you even get used to them? Interested in a top product that will support your necessities for a few decades? This is when Global G-2 Chef’s Knife kicks in. 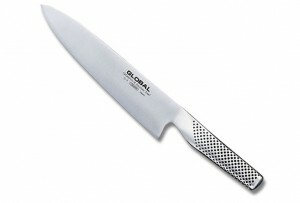 Global is world renowned for its one piece knives and this one makes no exception either. It is built with durability in mind, as well as a high level of reliability, regardless of your necessities. The Chef’s Knife can become your primary tool in the home kitchen. Given the construction and versatility, it looks like an ideal option for professional kitchens. However, it is just as handy in a home kitchen. It is one of those knives that can cut multiple types of foods without actually ruining them. If you are sick and tired of switching knives at every few years, keep an eye on this model and you might be pleasantly surprised. One piece construction – any worth? Most knives – whether designed for amateurs or professionals – consist of two parts. They come with a blade and a handle. This type of construction can be quite solid, but despite the blade sharpness and versatility, the knife can become useless if the two parts come apart. No matter what types of materials are used in the handle construction, the truth is that sooner or later, the “joints” will face problems. It depends on what the knife is used for, but also on the “joints”. The G-2 knife from Global is different. While this construction may not be too popular out there, it comes with a stainless steel handle. Both the handle and the blade are made of stainless steel, only they have different characteristics. However, the actual innovation is in the one part construction. The handle is molded for a more comfortable use, but also for a longer durability. The Japanese quality standards in this knife leave no room for mistakes. Other than that, the handle is dimpled, so the grip is safe and comfortable. There is no way to slip if you use it with wet hands. The G-2 blade is so sharp and well done that a samurai might envy you for having this tool. Just like the handle, it is made of stainless steel, but not just any type – high technology vanadium and molybdenum. The respective construction is more durable, but it also underlines an easier maintenance. Even if you use this knife in a professional kitchen, it will not give up on you when least expected. You will not have to sharpen it all the time or experience any frustrations. As for the actual edge, it maintains the razor sharpness by the book. This is usually the element that gives up when least expected, but not on the G-2 blade. If you have always been a German knife snob, this model will help you reconsider your labels and expectations. Five or ten years later, you will still have the razor, despite the sharpening procedures. 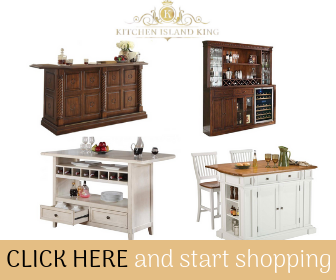 It looks like it was specifically developed for restaurants or other food based facilities, but the great accessibility makes it perfect for all your cooking sessions at home too. With over 260 reviews over the Internet, it is no surprise why Global’s G-2 kitchen knife has gained so much popularity lately. It is one of the best selling products in its range while the numerous innovations associated with it add to its reputation. It has 4.7 stars out of 5 among current customers. It has one of the leading ratings in this industry and its notoriety keeps going up with every new buyer. Just like any other thing out there, this one is not perfect either. An unhappy customer claims that his knife got bent inside the dishwasher. Now, he has a U-shaped knife. While these things may not be stated among the main specifications, the manufacturer makes it clear that this knife should not be used in a dishwasher. Instead, it has to be hand washed and rinsed under running water. In the end, Global G-2 Chef’s Knife seems to take chef knives to the next level. Given the professional and ergonomic appearance, this model is developed for professional kitchens. Interested in having a perfect knife at home without having to buy another one for a long time? The high accessibility makes the G-2 model just as handy in home kitchens, especially if you love cooking.